This position is responsible for the management and effective delivery of family services and the Aboriginal Liaison service across the Southern Metropolitan region. 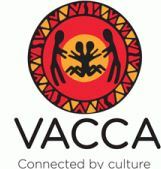 The role will work closely with the Southern VACCA, Senior Programs Manager in liaising with the Dept of Health and Human Services to maintain positive relationships and ensure intake, referrals, case management and reporting responsibilities and any other compliance requirements are met. A sound understanding of the principles and practice of case management, child development and risk assessment. Please quote in application: Team Leader- Family Services via Pro Bono Australia.